Finnish-based developer Dodreams has launched its latest event for gladiator car fighter Drive Ahead which sees Masters of the Universe villain Skeletor infiltrate the game. Skeletor’s Revenge is a free five-week game event that will feature new and exclusive Skeletor-themed Hot Wheels vehicles, as well as a helmet modelled after the well-known He-Man antagonist. To unlock these event prizes, players must defeat Skeletor and a number of other creatures hailing from Snake Mountain. The new update will be available for all users to play from April 10th, 2019. 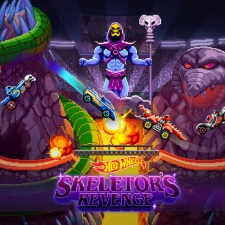 Skeletor’s Revenge marks the final episode of the studio’s collaboration with Hot Wheels on a variety of weekly in-game events to celebrate the car brand’s 50th anniversary. Recently Dodreams’ CEO Erik Pöntiskoski spoke to us about the future of the mobile games industry.